Raylight Games introduces “The Awakened”, a supernatural Victorian era thriller in development for Oculus Rift, PC, PlayStation 4 and PlayStation VR. “The Awakened” lets the player live a journey into the supernatural, through the eyes of the protagonist Robert Royce. He, a detective fallen in disgrace, dreams of a dear friend’s murder – but soon discovers it wasn’t just a dream. Guided by mysterious visions, Robert is dragged into the coils of an evil cult and forced to deal with a tormented past. More information will follow soon. Be sure to check out Raylight Games on its official website (http://www.raylightgames.com/) and social media. Founded in Naples (Italy) in 2000, Raylight Games has been one of the first to build a 3D engine on Game Boy Advance. 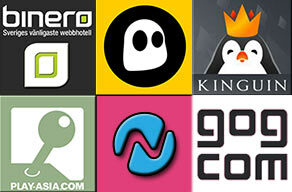 Over the years the company has developed dozens of videogames, ranging from handheld to home console, from mobile to PC. Among their titles: Wing Commander: Prophecy (GBA), R-Type III: The Third Lightning (GBA), Spider-Man 2 (GBA), Sniper Elite (Wii), Hot Wheels: Ultimate Racing (PSP), Gem Smashers (PS4, Vita, Switch). Nowadays, Raylight Games is committed to the development of games for PlayStation 4, Xbox One, Switch and Virtual Reality.